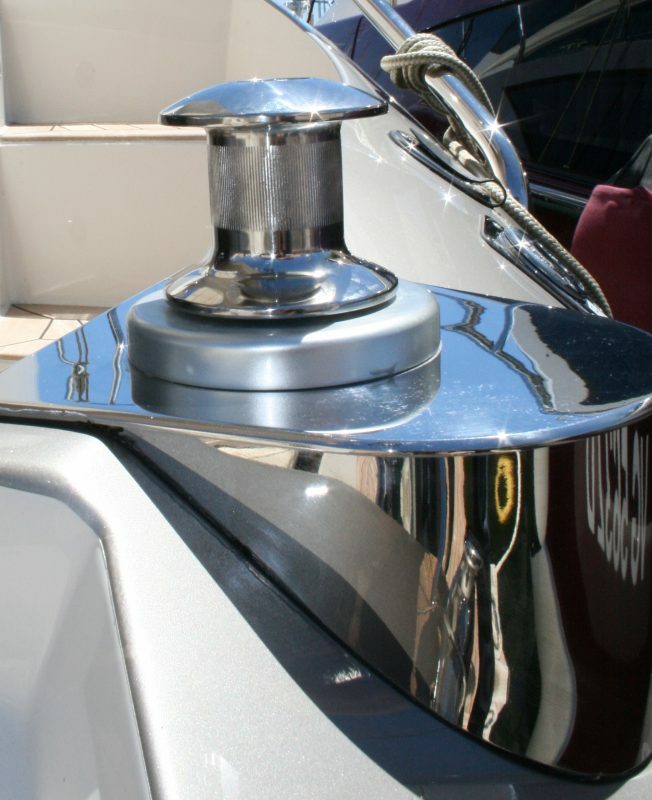 In this small guide to clean stainless steel, I will show you how to make a stainless steel polishing so that your boat is as beautiful as possible with clean metal parts and without rust. On the boats we have (antibes boat maintenance, cannes, or golfe-juan), there are many stainless steel elements and they rust easily (more or less quickly according to the quality) if we do not deal regularly with a good stainless steel polishing. Polishing the shiny metal parts of a boat is not difficult but it is a regular operation to make your boat shine with a thousand lights;) and that boat cleaning is easier. First of all you have to clean the boat to remove any dirt you will find my tips to clean his boat like a pro in a future article. If you do not have the time, just clean the part you want to deal with. But there is another one that works very well it’s Flitz. By putting on your latex gloves, apply a small amount of product onto a cloth and rub firmly on the piece to be treated. Make circular movements, the stainless steel polish will blacken what is normal, it is the proof that you gain ground on the dirt! Tip: use an old toothbrush to go into any nooks and crannies for more firmness. Then once you think the room to clean and the rust points have disappeared, wipe to see more clearly. If the result is not satisfactory, try again. Finally, take a clean microfiber to remove residues of polishing paste, a greasy film that will settle after the stainless steel polishing operation. Cleaning marine stainless steel removes rust, corrosion start, oxidation and matte film on the surface. If it is done regularly, the parts in question remain bright and like new. 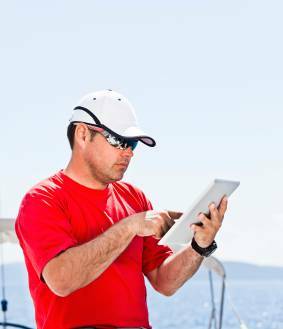 Download our boat maintenance checklist! Copyright 2019 Master Yacht Services.